The Marseilles Fos port authority is issuing a tender for the use of its drydock No.10 – said to be the largest in the Mediterranean – as a repair facility for large cruise ships, container carriers and gas tankers. The winning bidder is due to be selected by the end of the year and will be expected to demonstrate recent experience of handling ships more than 250 meters long, according to the port authority. Dock 10 is 465 meters long and 85 meters wide, making it capable of accepting the 330 meter-long cruise ships now calling in Marseilles. 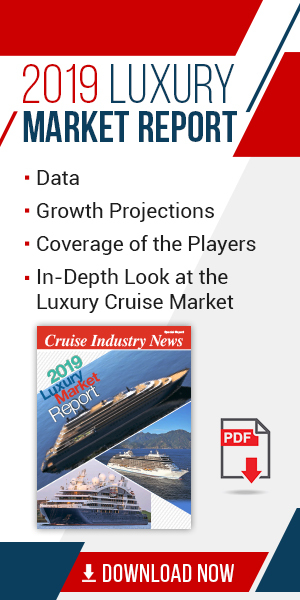 With 65 percent of the world fleet of large cruise vessels concentrated in the Mediterranean, the port authority said, and no comparable facility in the vicinity – cruise repairs is regarded as a key market. Container vessels of more than 360 meters have also become regular callers together with giant gas carriers, creating further possible markets. The No. 8 and 9 drydocks currently in use at Marseilles measure 320 x 50 meters and 250 x 37 meters, respectively. The operating concession for them was awarded last year to Genoa-based San Giorgio del Porto’s specially created subsidiary Chantier Naval de Marseille. Number 10 drydock entered service in 1975 aimed at the tanker repair market, which has gradually shifted to Asia. Until 2000, the dock was being used as a back-up to docks 8 and 9. In 2007 the container ship company CMA CGM won a tender to operate dock 10 but did not proceed with the project due to the global economic crisis.